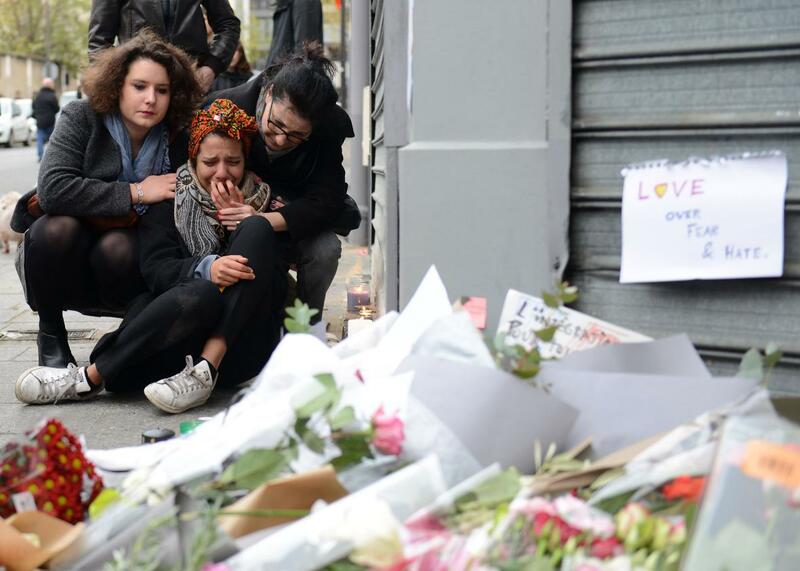 Paris attacks: Why this style of terrorist attacks could become common. The murder of innocent civilians in Paris is horrendous. But this type of terrorism may soon be less rare. A woman cries near Le Petit Cambodge restaurant, the day after the deadly attacks there and elsewhere in the French capital, on Nov. 14, 2015 in Paris. French President François Hollande gave an early-morning speech after the worst attacks in Paris since WWII. The identities of the killers will become apparent in the coming days, as France’s security services collect evidence, put together the pieces of this puzzle, and round up their accomplices. Agonizing tactical questions will beget further questions: How did they avoid detection in the run-up to this strike? How did they get their weapons and ammunition? What intelligence did France or other nations possess that might have stopped this? Law enforcement throughout France and Europe are now fanning out to detain suspects and crack down on the networks. It’ll probably come to light that some of the assailants are known to security services. But one sickening thought is this: This kind of attack—multiple killers with guns, bombs, and most importantly, a willingness to die while striking civilian targets—can be replicated elsewhere. If this is correct, we should begin to get accustomed to the fact that this kind of attack may become far more common. Last year, British Prime Minister David Cameron said: “[The Syrian conflict] is now the biggest risk we face—bigger even than what has been happening in Afghanistan and Pakistan. It needs to take up more and more of the time of the police, the security services, and the government.” [emphasis mine] And one of the drivers that has flummoxed European and American law enforcement services since the beginning of the war is the phenomenon of “bleedout”—namely, individuals who go to a foreign battlefield and then return to cause mayhem in their home countries. Some 1,200 French citizens have gone to fight in Syria, with an unknown number of returnees. There is little chance that authorities can monitor all of these individuals 24 hours a day for years to come. It remains unclear if there are concrete links between ISIS and its jihadist diaspora, but since Hollande was willing to say so early in this investigation that the operation had been directed from overseas, it’s reasonable to assume France’s security services have information that ties the two together. That brings the next big question: Is ISIS now more aggressively pursuing an external attack strategy? In just the past month, ISIS has been fingered as carrying out the worst bombing in Turkish history and one of the worst bombings in recent Lebanese history, and perhaps responsible for the downing of the Russian passenger aircraft in Egypt. With this Paris attack, is the group feeling confident enough to be willing to commit time and resources to striking outside Iraq and Syria? If there’s indeed been a shift in ISIS’s leadership focus—from the internal to the external—the easiest kind of attack to carry out is the kind of strike that occurred in Paris. Setting off bombs requires a bit of training; pulling the trigger in a crowded space does not. The twin issues in understanding terror groups are intent and capability. Given that ISIS has made it clear it wants its adherents to kill Westerners in its name, and given that it is not impossible to procure firearms from arms traffickers peddling Balkans Wars–era weaponry, and given there are an unknown number of people who are willing to kill for the cause, well, the arithmetic is grim. Add to any of part of this equation—increase the number of willing personnel, or improve the ability for bad actors to access weaponry—and the possibilities for mayhem go up. I hope my assessment is wrong. But if the ISIS leadership in Syria has command and control over its followers in Europe, as the French president has asserted, we in the West should expect more of these attacks. There are grim times ahead.